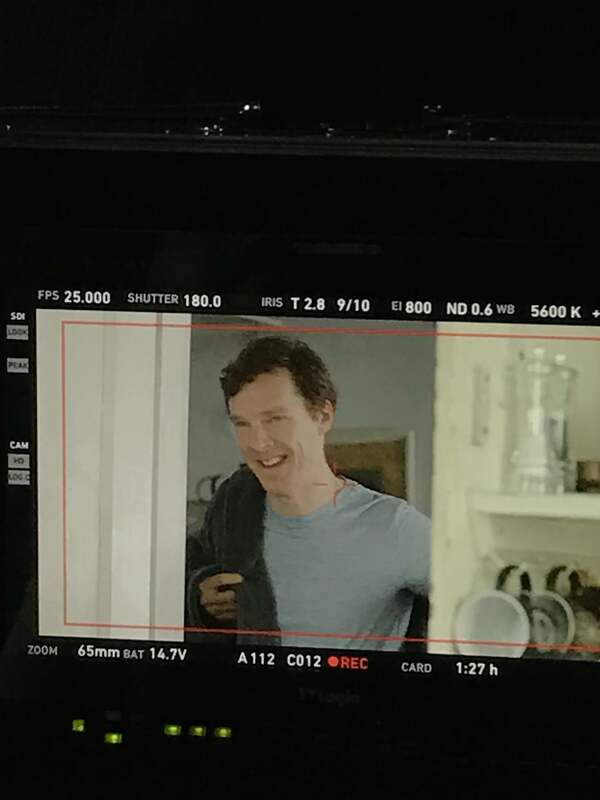 Benedict Cumberbatch and co-star Kelly Macdonald spent four days in Suffolk, filming one-off drama The Child in Time, to be broadcast on BBC One this Sunday, September 24th. The production also used locations in Lambeth and Haringey. Among the most distressing scenes are those filmed in and around the streets of the Co-op supermarket on the Broadway in Crouch End, Haringey. Benedict Cumberbatch, as a father who has just lost his toddler daughter, races out of the shop, now attended by uniformed officers. FilmFixer manages the film office service for Haringey and Lambeth Councils, along with Screen Suffolk. FilmFixer director Karen Everett says, “For these highly emotional scenes, the production positioned two mounted cameras to capture the action, as well as using one simple steady cam for close up shots just outside the Co-op. “So as Benedict Cumberbatch left the supermarket, he walked with the flow of the general public, no pedestrians were stopped for the filming. There was a fake police car and two fake police in the background. “There weren’t any lights on stands, no dolly and track. It was really well organised so that disruption was kept to an absolute minimum and to heighten the tension of the shots. A real Met Police officer was on hand in case anyone needed reassurance. “The filming was done very quickly on a Sunday in April this year, with just 30 cast and crew. The Co-op interior scenes were shot before the shop was due to open, in the morning. Then within a few hours that afternoon the exterior scenes in the area were done. “Earlier in April, the production had filmed over three days inside the old Hornsey Town Hall. Sets were built to turn the interior into government buildings. Also in April, the production filmed very briefly in the National Theatre in Lambeth with 35 cast and crew. Karen Everett explained that the production filmed in Suffolk with a cast and crew of forty, saying, “They shot all around the Shingle Street area in April this year. “They created a small train station for the arrival of Benedict Cumberbatch’s character. “As he walked from there along to the beach, he crossed land belonging to many local property owners, all of whom were paid private location fees. “One of the end-of-terrace houses was turned into a pub. There we see Benedict Cumberbatch taking a pint outside to look at the sea. The unit base and catering was set up at the village hall in Hollesley. “In four days, the production spent just over £44,000 on local goods and services,” Karen Everett continues. “It’s a shining example of why we must continue working hard to attract big productions into the county. “That budget included 252 nights in hotels, in total, for all cast and crew members, food bought by the caterers, private location fees paid to residents, and the sums each cast and crew member was spending in local shops and pubs. On a big shoot like this it adds up very quickly. “I must also congratulate the production on their sensitivity and good conduct throughout. Despite being on a tight schedule, filming some very distressing scenes, the team worked extremely respectfully with local residents. “Those local resident included a badger sett, which I must mention. The only road to the location collapsed after badgers burrowed underneath it, creating a den. “The crew was concerned that, even with a temporary bridge over the sink hole, the badgers would be disturbed as trucks rattled above them. So in fact they stopped their trucks just before the sink hole, removed load after and load of gear by hand, and took it on foot around the sink hole. Then they loaded up another truck on the other side, and carried on up to the location. This was not insignificant, it was hours of extra work and it was done in the pouring rain. The Child In Time is an adaptation of an Ian McEwan novel, made by Benedict Cumberbatch’s own production company SunnyMarch TV. It’s about a couple coping with the sudden disappearance of their toddler daughter.